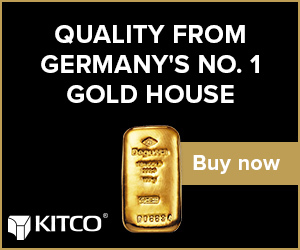 WASHINGTON ( Alliance News ) - Gold futures snapped a two-day loss to end higher on Monday, as the dollar trended lower on some weaker than expected economic data from the US Investors also sought the safe haven appeal of the precious metal over concerns of a Greek default on its sovereign debt after talks between Athens and its international creditors broke down last week. Traders were also wary of making any big moves ahead of the Federal Reserve's interest rate announcement Wednesday. Policy makers are unlikely to raise interest rates, but may signal that tightening is on the cards for July or September. In some soft economic news, US industrial production and the New York Fed manufacturing reports came in weaker than expected, with investors sticking to the sidelines ahead of the Fed's monetary policy announcement on Wednesday. With the Greek intrigue continuing, European Central Bank President Mario Draghi on Monday said both Greece and its creditors need to intensify efforts to reach a strong and comprehensive agreement soon, but it is now the Greek government's turn to respond with necessary steps to reach a solution. Greek leaders, however, continue to sound defiant with the anti-austerity Prime Minister Alexis Tsipras asking creditors to become 'realistic.' Nevertheless, both sides have hinted talks will continue. Gold for August delivery, the most actively traded contract, gained USD6.60 or 0.6% to settle at USD1,185.80 an ounce, on the Comex division of the New York Mercantile Exchange on Monday. Gold for August delivery scaled an intraday high of USD1,190.20 and a low of USD1,171.90 an ounce. On Friday, gold prices dropped USD1.20 or 0.1% to settle at USD1,179.20 an ounce, on some upbeat economic data from the US even as the dollar fluctuated against a basket of some major currencies. Holdings of SPDR Gold Trust , the world's largest gold-backed exchange-traded fund, edged lower to 703.98 tons on Monday from its previous close of 704.22 tons. The dollar index, which tracks the US unit against six major currencies, traded at 94.86 on Monday, down from its previous close of 95.10 on Friday in late North American trade. The dollar scaled a high of 95.39 intraday and a low of 94.82. The euro trended higher against the dollar at USD1.1277 on Monday, as compared to its previous close of USD1.1267 in North American trade late Friday. The euro scaled a high of USD1.1288 intraday and a low of USD1.1190 . In economic news, a Federal Reserve report on Monday showed an unexpected drop in US industrial production in May, reflecting decreases in mining and manufacturing output. Industrial production fell 0.2% in May following a downwardly revised 0.5% drop in April. Economists expected production to increase by 0.2% compared to the 0.3% drop originally reported for the previous month. Meanwhile, activity in the New York manufacturing sector unexpectedly contracted in June, a report from the Federal Reserve Bank of New York said Monday. The New York Fed's general business conditions index dropped to a negative 2.0 in June from a positive 3.1 in May, with a negative reading indicating a contraction in regional manufacturing activity. Economists expected the index to climb to a reading of positive 5.9. A report from the National Association of Home Builders on Monday showed homebuilder confidence to have improved significantly in June. The NAHB/Wells Fargo Housing Market Index jumped to 59 in June from 54 in May. The index was expected to increase to a reading of 56. The index is at its highest level since a matching reading in September of 2014. Eurozone trade surplus increased in April as exports expanded from March amid fall in imports, data from Eurostat showed Monday. The trade surplus rose to a seasonally adjusted EUR 24.3 billion from EUR 19.9 billion in March. Exports gained 1.1%, while imports decreased 1.6% from the prior month. Elsewhere in Europe , the average asking price for a house in the UK jumped 3.0% on month in June, property tracking website Rightmove said on Monday, coming in at 294,351 pounds. Analysts say the jump was the result of last month's election results, which resulted in a Conservative victory, as well as a dwindling pool of available houses.